Page revised in January 2015. Because of its strategic position, Sultan Mehmet II in 1456, soon after having conquered Constantinople, seized Imbro. A small bay on the northern coast of the island served as landing site: it was protected by a castle built on the ruins of the ancient Greek acropolis. 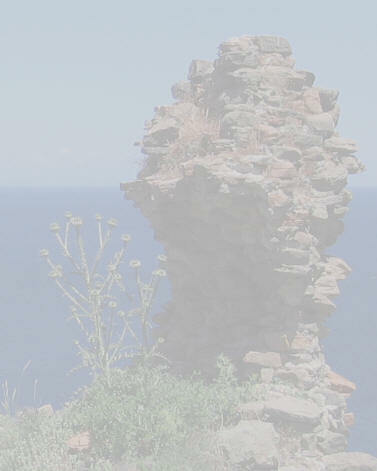 The castle has a commanding view over Samothrace, a small island dominated by a mountain which reaches 5,000 ft. and universally known for a statue portraying a winged victory (now at the Louvre in Paris - see it in this external link).